With a Master of Laws (LLM) postgraduate degree from City, you can create your own programme of study to enhance, develop or transform your career. The Master of Laws (LLM) postgraduate programme is for students who are looking to enhance their legal careers, build on their past practice or focus on new areas of law. The flexibility of the programme and over fifty modules on offer means that you can define your own Master of Laws (LLM) postgraduate experience. Our students come from a wide range of backgrounds. Some have just completed undergraduate degrees while others have experience in private practice at law firms or as in-house counsel. We also welcome students who have experience of non-legal work in sectors including finance and energy, public service and NGOs. A law degree is not necessarily required. The Master of Laws (LLM) at City, University of London has a practical, global focus designed to deepen your knowledge and accelerate your career or simply introduce you to new and exciting areas of law. The programme has been structured to showcase current legal debates, and to expose you to professional practitioners and leading academics. It will give you the skills to tackle complex legal problems within your chosen area while also offering a wealth of opportunities including pro bono clinics, guest lectures, recruitment fairs and internships. The diverse nature of our student body means that you will benefit from sharing experiences and widening your horizons in the world’s leading legal centre. The Master of Laws (LLM) extensive choice when it comes to what you learn. You can opt for a general Master of Laws (LLM) degree by selecting courses from our extensive list of modules, or pursue one of several specialisms in fields such as Public International Law, International Commercial Law and European Union Law. This means you can design your own degree and build your learning around your academic and professional goals. You can even take course in government, diplomacy and politics offered by the University’s International Politics Department. 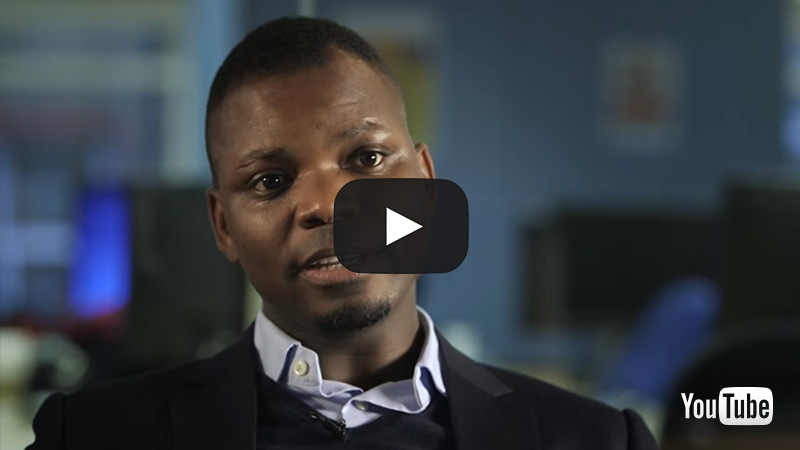 Find out from one of our students what it's like to study one of our LLM programmes. 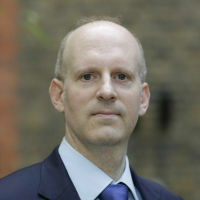 In 2012 City University London founded a legal advice clinic focusing on advising start-ups in London’s Silicon Roundabout. The clinic, called Start-Ed, is the first of its kind in the country and has won many awards and grants. Under supervision from a solicitor, you can gain experience assisting real clients that include tech start-ups and meet the people behind London’s most exciting new business ideas. The Master of Laws (LLM) is taught at Gray’s Inn Place campus with some modules elsewhere. Here you will find the Atkin Building which houses a Law student common room and a large lecture theatre. For your second term you will be studying at the new home of the City Law School at Sebastian Street. There is also a Law common room at Northampton Square. Our excellent location in London puts us within walking distance of the British Library which has a collection of over 150 million items and a extensive law resources. Assessment will draw on a range of approaches which include written coursework, presentations, skills work, in-class tests, projects and a dissertation. The majority of modules will be assessed on the basis of written coursework of 5,000-5,500 words. The 30-credit dissertation module will involve the submission of a dissertation of 10,000 words on a subject agreed with your supervisor/Programme Director. If you decide to opt for the 60-credit dissertation instead, you will need to submit a dissertation of 20,000 words on a subject agreed with your supervisor/Programme Director. Most modules have a single combined assessment with 100% weighting but there are some where there is more than one assessment and the weighting for each will be 50%. You have the option of completing formative coursework in each module. The formative assessment will give you an opportunity to understand and appreciate the academic levels expected. At different stages of the programme, you will have the opportunity to develop and demonstrate legal research, quantitative, cognitive and other skills in addition to your knowledge and understanding of the subjects. The dissertation gives you an opportunity to display competence in legal research and to explore your specific interests more deeply. There is a degree of autonomous learning at this stage in the programme. You will be demonstrating how you can manage information as well as developing complex arguments and in some cases innovative solutions to specific legal problems. can present the relevant points in concise, clear and grammatical terms. Find out more about the academics at The City Law School. The general Master of Laws (LLM) postgraduate degree programme offers students a high degree of flexibility. You can tailor your own suite of specialist elective modules to meet your interests and career aspirations. All modules take a contemporary approach to the study of law and your instructors are scholars and practitioners of the highest calibre committed to giving you the knowledge and skills to tackle complex issues in legal study and practice. To pursue the general Master of Laws (LLM) programme you can choose from more than 50 modules covering diverse subjects – everything from Human Rights and Energy Law to Mergers or Money Laundering. Or you can study one of 12 specialist LLM programmes, in which case you will need to study certain subject-specific modules. Master of Laws (LLM) graduates are well placed to pursue careers in legal practice as well as business, management, banking and finance, government, NGOs, charities, academia and research. Lawyers in practice support the LLM through a series of talks over the duration of the course. Expert careers advice is available from personal tutors and City’s Careers Service. LLM graduates can continue their academic studies by enrolling in a PhD or MPhil offered by The City Law School. You will be given a personal tutor who will guide your academic and professional progress. City, University of London's Career Skills and Development Service provides a range of events and advice services that may help to make you aware of career options. Students who complete the Master of Laws postgraduate course may wish to continue their academic studies by enrolling in a PhD or MPhil offered by The City Law School.